A giant gemstone painting that depicts the beauty of Xuan Huong Lake in the central highland city of Da Lat is being displayed at My Way Café on Hai Ba Trung Street. 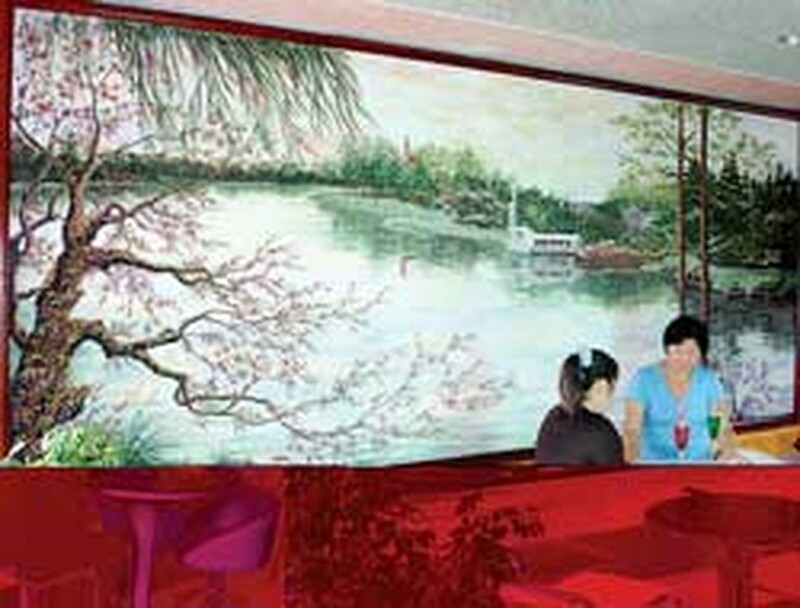 The giant gemstone painting themed "Xuan Huong Lake"
The 1.8m-by-4.3m painting is made from more than ten kinds of gemstones, including sapphire, peridot, opal, amethyst and others. The artwork was finished at the end of April by artist Nguyen Hung and sold to the owner of the café for VND80 million (US$5,000). The painting is regarded as a biggest gemstone painting in the country.The artist is planning documents of his work to list on the Viet Nam's Guinness Book of Records.